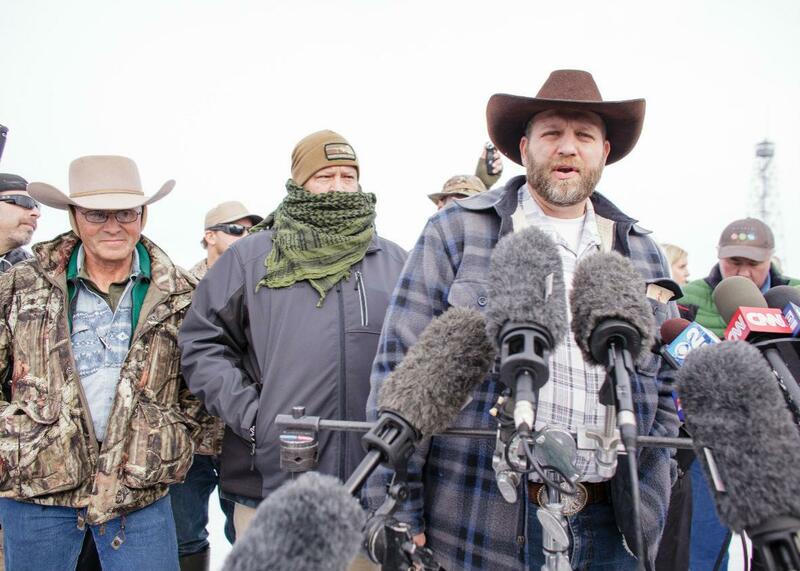 The Gist: OPEC and oil prices, Oregon militia protestors. In the Spiel, The Gist ponders how we should describe the armed anti-government protesters in Oregon. Ammon Bundy, leader of a group of armed anti-government protesters speaks to the media as other members look on at the Malheur National Wildlife Refuge near Burns, Oregon, Jan. 4, 2016. Photo by Rob Kerr/AFP/Getty Images. On The Gist, how significant is the impact of the shale revolution on the international oil markets? We ask Robert Weiner, professor of international business at George Washington University. For the Spiel, Mike wonders what we should call the armed protesters who took over the headquarters of the Malheur National Wildlife Refuge in Oregon. Coming up on Friday, Jan. 15, our host Mike Pesca and listener Frank Kennedy will be live on stage as part of the Story Collider STEM FEST. Visit the Story Collider website for tickets and more information about the lineup. Slate Plus members are invited to a free happy hour before the show. RSVP here. Texture, the mobile app that lets you tap directly into the world’s most popular magazines using your phone or tablet. Dive deeper into Vogue, People, Esquire, Time—with interactive content for a richer reading experience. Try Texture for free at Texture.com/gist.